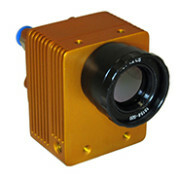 The performance achieved with the high-speed infrared cameras from New Infrared Technologies allow the real-time monitoring of laser welding processes. 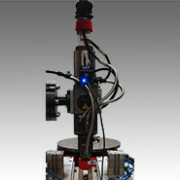 The mechanical couple of the camera directly to the laser head makes possible to observe on-axis the melt-pool area, as well as the dynamical behaviour of the process. An analysis of such images provide real-time defect detection capabilitites, such as: lack of penetration, false friends, hles or pores, among others. The technology is valid for CO2, Nd:YAG, diode and Yb:YAG lasers. 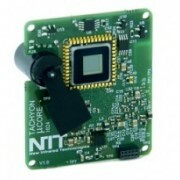 The miniaturized cameras from NIT allow a direct integration into the welding head and therefore a direct observation of the melt-pool area with a very high temporal accuracy while the process is being performed. This allows the complete recording of all the information associated to the welding defects. As the technology is based in uncooled sensors, the deployments costs are lower compared to other laser welding process monitoring systems, making the technology suitable for the Industry 4.0 and zero-defect quality standards, and allowing a process optimization. Monitoring of a laser welding process using high-speed uncooled MWIR sensors (TACHYON 1024 CORE) operating at 10,000 frames per second.